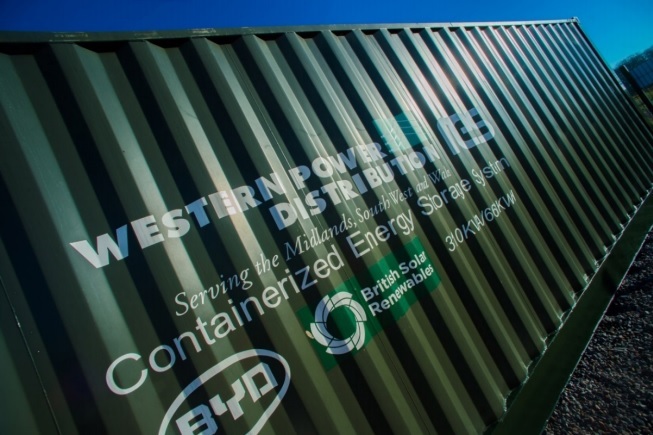 Western Power Distribution (WPD) has launched a consultation seeking views on the potential growth of energy storage on its distribution network after receiving an ‘unprecedented’ 8GW of applications in the last 18 months. The ‘Energy Storage Growth Scenarios and Operating Modes’ document has been published this month to enable the distribution network operator (DNO) to gain better understanding of the rate of growth, how energy storage assets are likely to be used and their “mode of operation”, and the profile of charge and discharge. According to the consultation, WPD has already accepted 1.13GW of battery storage capacity as of 3 May 2017, with a further 1.1GW offered to existing applications. These projects mark a significant increase on the 2.85MW from an existing project and one that WPD is now preparing to accommodate. The consultation therefore sets out to confirm or correct WPD’s assumptions of the technology and allow it to benefit from the value of flexibility offered by battery storage. “As part of the drive to improve the balancing of generation and consumption, maximise the use of low carbon energy generation and optimising the investment in infrastructure, flexibility technologies such as storage could be a key enabler,” it says. As a starting point, WPD is working from a high growth scenario of 10-12GW / 24-44GWh worth of energy storage installed across Great Britain by 2030 to be deployed though a series of waves across all applications. The work is already underway as WPD prepares for its transition into a distribution system operator (DSO), which will see the DNO take on smart power solutions to accommodate flexibility and offset the need for costly grid infrastructure while incorporating higher levels of renewables. It has already begun to offer to commercialise the benefits it could receive from storage through its Flexible Power offering, which offers distribution network level revenues to projects connecting to the local grid to reward flexibility. Both DNOs and the transmission system operator National Grid are taking the lead in adapting to the rapidly changing energy system of the UK as it moves towards a low carbon system. Government has been slow to change regulation and policy governing storage, meaning it still faces several barriers to greater deployment such as a lack of defined status and double charging. Improvements were expected following last year's smart power call for evidence, which outlined a number of proposals which were widely praised by industry. The outcome of this was due to be published by the Department for Business, Energy and Industrial Strategy (BEIS) and Ofgem this month however it has been delayed due to the snap election called for 8 June and purdah rules dictating government publications. The WPD consultation closes on 21 June 2017 and will be used to further develop the burgeoning DSO's storage activity throughout the midlands, south wales and the the south west of England.